This piece was originally posted on The Conversation on 16 January 2015. Raif Badawi, a Saudi blogger and the founder of an online liberal debating forum has become the most recent victim of the unjust Saudi justice system and the contradictions, one might say hypocrisy, of the Saudi monarchy. 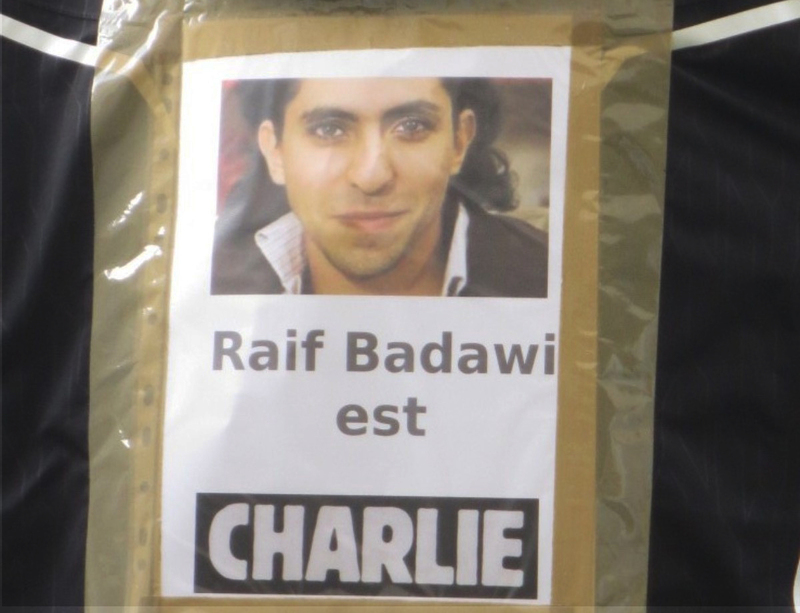 In May 2014 Badawi was sentenced to ten years in prison and 1,000 lashes to be administered 50 at a time. The first 50 were administered on January 9. Just 24 hours later a Saudi delegation joined the march in the Place de la Republique in Paris in support of freedom of speech following the Charlie Hebdo massacre. Badawi’s was sentenced for allegedly insulting religion on his censored liberal forum, which Saudi commentators, both anonymous and identified used as a forum for discussion, short commentaries – and mostly rants – about the strict religious controls over their personal freedoms, the assault on their human rights and restrictions on freedom of speech in Saudi Arabia. Badawi’s blog hosted campaigns to support introducing a legal age for marriage (especially for girls) and campaigns in favour of allowing women to drive, while there was also much discussion of sexual harassment cases and abuse in public spaces were often discussed. It was anything but one-sided: both advocates and opponents of Islam and Islamic law frequently voiced opposing opinions. On more than one occasion, the blog has been used as a satirical platform to ridicule strange fatwas and religious opinions from famous Saudi scholars – for example the opinion that driving is detrimental to women’s ovaries. One of the main concern of the site’s users has been the so-called “religious police” – the Commission for the Promotion of Virtue and the Prevention of Vice. These government-appointed moral vigilantes parade the streets in luxurious white four-wheel drives in search of immorality, enforcing gender separation laws, making sure that all shops are closed during prayer times and that men and women dress modestly at all times (not to mention tracking down illicit brewing or consumption of alcohol and, of course, prostitution). There seems to be no end to the number of ways one can fall foul of the religious police – the number and range of offences is constantly expanding, and now includes tweeting “subversive” and politically challenging statements, communicating with foreign media and making un-authorised visits to embassies in Riyadh among many other “offences”. Although Badawi’s blog carries the name “liberal”, one must not jump to conclusions. This is not liberalism as it is historically understood in the West – you won’t find any calls for revolutionary political change in favour of representative government or elections. He has been mainly concerned with the denial of personal freedoms and the excess of religious interventions by government and Saudi Arabia’s over-privileged clergy. For example Badawi once praised a member of the royal family – who was governor of Mecca at the time – as enlightened because of his calls for restricting the power of the religious police and in favour of allowing women to drive. Of course, it didn’t stop his arrest and imprisonment. In the eyes of the Saudi judiciary, Badawi’s main crime is to call for the separation of religion and state, a kind of secularism that he admires in other countries and believes to be the only solution to protect freedoms in Saudi Arabia. But Badawi’s quest for secularism got him in trouble with the Wahhabi conservative constituency in Saudi Arabia, which controls the judiciary. As preachers and judges, they have a monopoly over interpreting Islam and passing arbitrary sentences. The sharia (Islamic law) has yet to be codified in Saudi Arabia and its application is subject to the opinion of judges who do not accept the pluralism of Islamic jurisprudence or a diversity of legal interpretations. It must be said that the 1,000 lashes included along with Badawi’s ten-year jail sentence are so unusual and have no precedence in the Islamic tradition – previously the number of lashes has never exceeded 100. So it must a vindictive judge who settled on this excessive number. Given that Saudi judges are appointed by the Ministry of Interior – which is also responsible for security and anti-terrorism efforts, they have become the arm of this ministry that wants to silence dissent, stifle human right activists and criminalise any activity that challenges the absolute monarchy. The regime appeases those important judges by allowing them a free hand when dealing with cases of religious dissent. They surely do not want to see Badawi’s dream of secularism come true – this would mean they would lose their privileges and control over society. Unfortunately, Badawi’s case may have set a precedent for the handing down of harsh sentences for prisoners of conscience. The Saudi regime remains immune from international pressure, as its allies – mainly Western governments – are afraid to rock the boat with their loyal friends in Riyadh. This is, of course, simply realpolitik on the part of the West; Saudi Arabia still controls huge quantities of oil and is a good business partner. There is never any concern about unpleasantness or corruption scandals erupting. In the past, investigations of corruption, for example the infamous al-Yamama arms deal between Saudi Arabia and BAE were halted by Tony Blair when the UK’s Serious Fraud Office was about to expose dodgy bribes paid to Saudi princes to secure the deal. 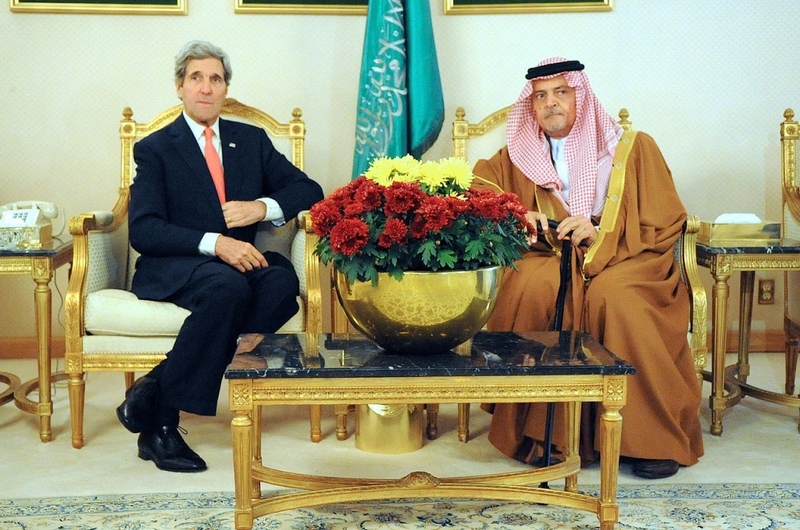 Human rights in Saudi Arabia is truly not on the foreign policy agenda of most Western governments. Raif’s ordeal can only be stopped by royal decree. But with the ageing king still in hospital recovering from pneumonia, the Saudi royal family busily trying to sort out, in secret, the vexed issue of the succession – and terrorism raging to the north and south of the country in Syria, Iraq and Yemen, the blogger is unfortunately left without support or hope. There are thousands of prisoners of conscience in a country like Saudi Arabia who may linger in prison for decades, suffering torture such as lashing and flogging. Their cases are kept alive by international human rights organisations but are greeted with a deafening silence by the rest of the world. The Saudis can no longer hide behind their claim that they are simply abiding by divine law and applying sharia on earth. They must be told that their interpretations of the law fall short of the aspirations of many Muslims. Someone must point out to them that religious texts may be revered and considered sacred, but religious scholars who claim to act on behalf of god are not. Badawi is innocent as he has not committed a crime even within a narrow interpretation of Islamic law. This punishment is an abomination and the international community must do all it can to bring pressure on its Saudi ally to stop it. But don’t hold your breath. Madawi Al-Rasheed is Visiting Professor at the LSE MEC and Research Fellow at the Open Society Foundation. She was Professor of Anthropology of Religion at King’s College, London between 1994 and 2013. Previously, she was Prize Research Fellow at Nuffield College, Oxford. She also taught at Goldsmith College (University of London) and the Institute of Social and Cultural Anthropology, University of Oxford.